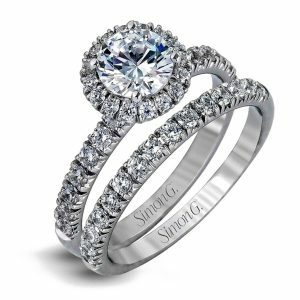 This Simon G engagement ring set was crafted to perfection. 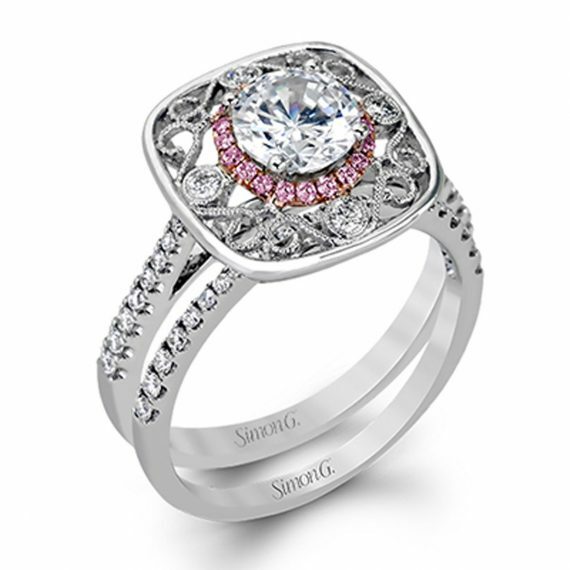 With 0.29ctw diamond accents as well as 0.06ctw of pink diamonds, together this creates a stunning engagement ring masterpiece. 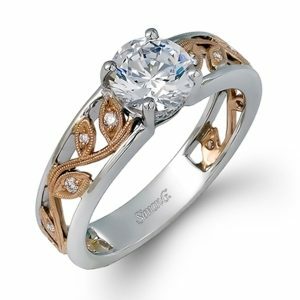 This ring features a floral style halo that is able to accommodate any desired stone. 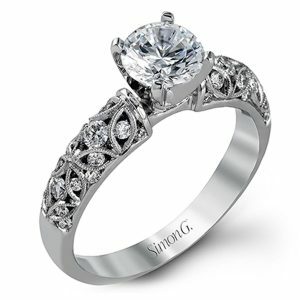 Shop more Simon G Engagement Rings here. 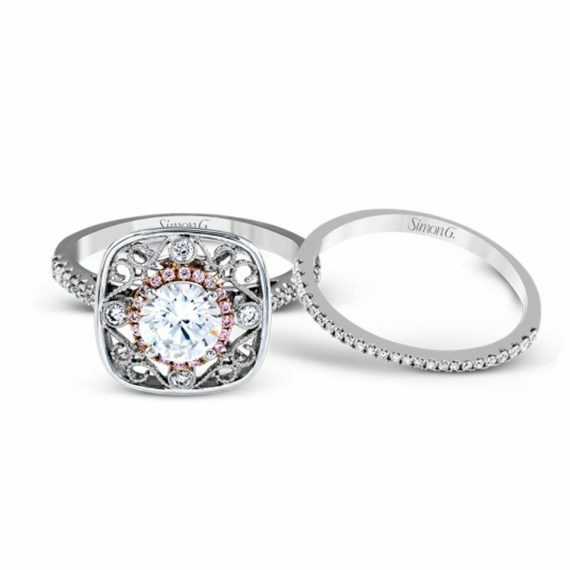 Carat Weight Approximately 0.29ctw of white diamonds and .06ctw of pink diamonds. 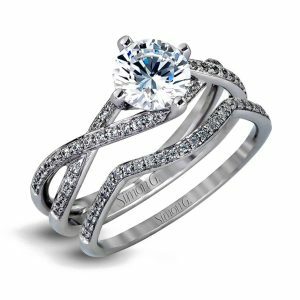 Maximum Diamond Size Can accommodate a variety of center diamond sizes. Policy Diamonds By Raymond Lee return policy; This Mounting does not come with a center stone.